To what extent is society really changed? To appreciate the significance of this question, let’s unpack the concept of social change. The narratives of digital activism Shirky refers to in his book are examples of digital mobilization. It changes the internal dynamics of a society by empowering the former audience to participate and alter the unfolding story. It may seem that Internet activism is the answer to anyone who prays to change society. But fundamental social change must be permanent and all-encompassing. If existing institutions – the way society is ordered, power is structured, law is written – remain unchanged, it is hard to imagine how the kind of change ad-hoc mobilization brings about can be sustainable and sweeping. 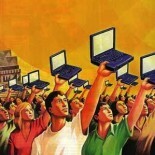 Therefore, ad-hoc Internet mobilization is merely a means but not the end we seek. I would argue that Internet activism is sometimes necessary but never sufficient to fundamentally alter society. The Arab Spring is a case in point. There is no doubt that digital activism has engendered tremendous ecological effect on the broader political culture in Egypt, the Arab region, and perhaps even in authoritarian regimes around the world. Highly decentralized and charismatic structures have emerged from a huge, and loosely connected network of activists and citizens who decided to gather in one physical place to protest. Such network was made possible by very successful Internet mobilization efforts. With the benefit of hindsight, such mobilization did topple an outdated regime ripe for disposal, but how much did the same activism contribute to build a new democracy that is robust and stable? Evgeny Morozov suggested in his book that perhaps the only benchmark that matters in democratic politics is whether one can both obtain and hold onto power through peaceful means. The protests – largely with non-violent intentions at the beginning – succeeded in obtaining power by the people. Yet Internet activism did not directly lead to a government for the people. 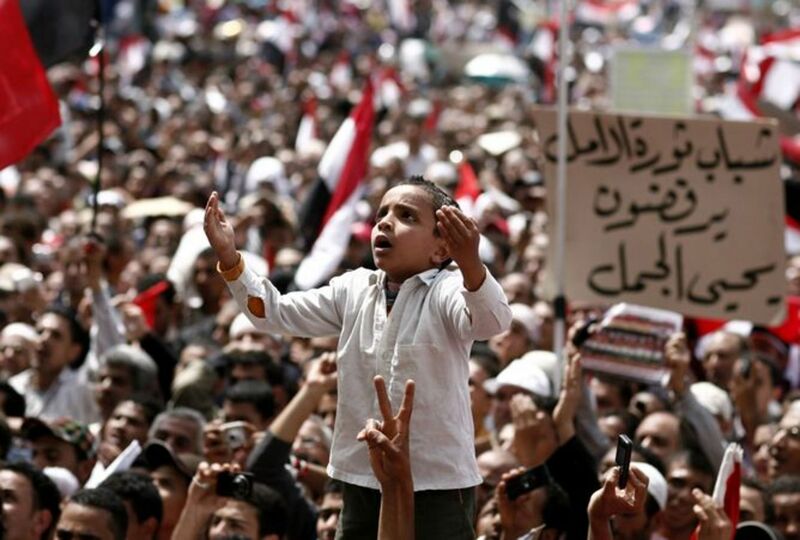 The protests did many things, but they did not do enough to alter the existing institutions that govern Egypt. The country still has a corrupt government. It is controlled by the police and the military. It is still prone to extremist elements threatening to destabilize an emerging democracy. As Basem Fathy aptly points out, the Arab Spring erupted under a confluence of factors: geopolitics, recent events, timing, technology. The Internet was only one factor among many that sparked the eruption of the revolution in Egypt. The Internet was likely not the most important factor in causing the Egyptians to feel that they could emulate the success of Tunisia in rising up against a dictator. But it was clear that the movement offline and the movement online went hand in hand together. The use of social media was not much different from the use of printing machines in the French Revolution. As an integral part of the communicative infrastructure, networked activism did help to mobilize and consolidate the masses in the Arab Spring. As Zeynep Tufekci observed, digital mobilization has proven very effective in organizing single issue campaigns, such as overthrow dictator X or releasing activist Y. Yet it has not been very successful in organizing a complex course of actions, especially since the structure of such movement is so decentralized and weakly connected. The basic requirement for governance is the ability to determine and implement a complex course of actions. If Internet activism fails to move beyond single issue campaigns, the change it creates will never be enough to fundamentally alter institutions. Therefore, the form of digital activism as we know it today may sometimes be necessary but never fully sufficient to really change society.